It’s my pleasure to share with you an interview with our keynote speaker for the upcoming CRAFTING COMPELLING CHARACTERS workshop. Last fall, I met Colorado Book Award winner, author Jeannie Mobley during the Rocky Mountain Chapter of SCBWI, Letters and Lines conference in Denver. The meeting presented the opportunity to offer her a chance to give our keynote address at the West Slope workshop on April 18, 2015. 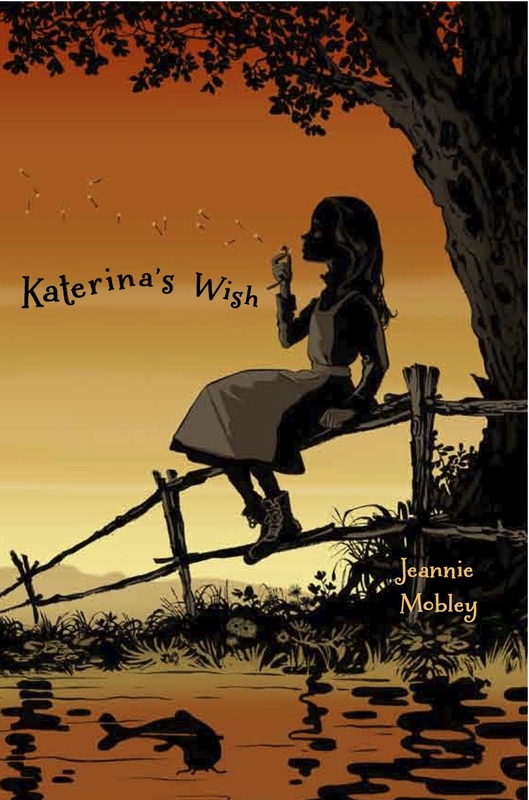 Jeannie’s debut novel, KATERINA’S WISH won the 2013 Colorado Book Award in Juvenile Fiction. 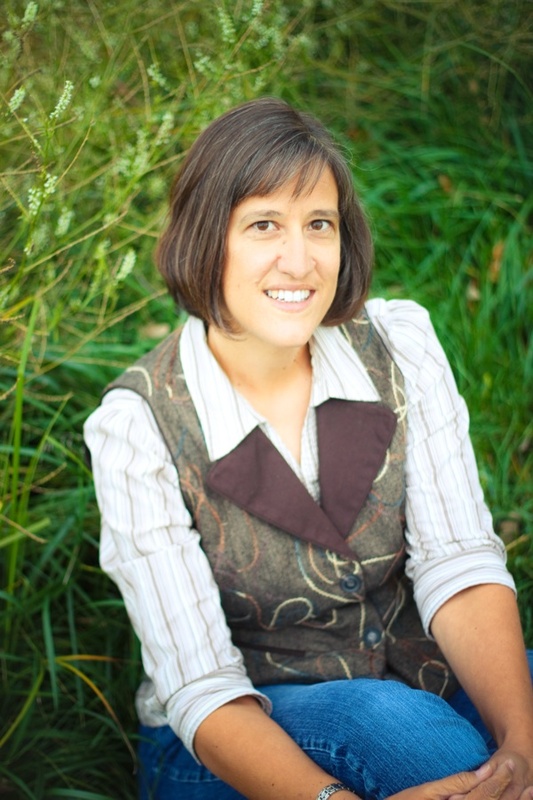 Her book was placed on the William Allen White Award Master List, and was selected by the Library of Congress to represent Colorado at the 2013 National Book Festival. Welcome Jeannie. How long have you been writing children’s literature and why were you drawn into writing for children? The “how long” question is always a hard one for me to answer, because nothing in this business follows a straight progression. I’ve been writing since I was a kid, but got away from it as I pursued a professional career as an archaeologist. That also required writing, but a very different (and much less satisfying) sort. When I came back to creative writing, about fifteen years ago, my kids were little, and I think I moved into writing kids’ fiction because they were my first audience, and because most of my pleasure reading at that time was the books I read with them. As I got serious about pursuing a career in fiction, about ten years ago, I stayed with kids’ books because it just felt like a comfortable fit. I really enjoyed reading your book KATERINA’S WISH. Please tell me more about your books. I have two books out, KATERINA’S WISH (2012) and SEARCHING FOR SILVERHEELS (2014), both with Margaret K McElderry Books, an imprint of Simon and Schuster. Both are historical fiction for upper middle grade readers (though I have a number of adults tell me they enjoy them as well), and both are set in Colorado. Having grown up in Colorado in a very out-doorsy sort of family, my childhood was filled with exploring old mines, ghost towns, railroad routes, and wagon roads in the mountains. For me, those explorations always sent me into daydreams and imagined lives from those eras, so those worlds easily come alive on the page for me. As for what’s next, I have various manuscripts in various stages of readiness, and even out on submission, but I can’t say right now what exactly will be next. It never ceases to amaze me how little correlation there is between the order in which I write things, and the order in which they move to publication. Jeannie, how do you find your characters? There are a lot of tricks you can apply to ensure you have compelling characters, but I don’ think about those things when I write the first draft. In fact, I try not to think about what kind of characters they are at all. I try to let the characters guide me through the story and reveal themselves. I typically do a lot of thinking before I start writing. The first draft I am working on right now, I got the idea in September, and didn’t start writing until mid January. In between, I did some general research, reading up on this historical setting (17th century France), and the social setting (Louis XIV’s court and craft guilds). I looked at a lot of pictures of French houses, the countryside, the clothing and hairstyles of the era (Louis XIV has very shapely legs). But all the time that I’m doing that, the characters are milling around and growing in my head—their personalities, their voices, their way of thinking. I start seeing all those places and people in my research through their eyes, so that by the time I start writing, I’ve given over a part of myself to that other person. Then she (in my current case a sixteen year old girl) guides my pen as I put her experiences on the page. On my current project, I wrote a first chapter, decided the voice wasn’t right, threw it away, waited another month, and started again. And the story took off and overwhelmed me with joy and excitement, so I knew I had found Juliette’s true voice and personality. She’s a little feistier than I had thought the first time around, and much more poetic. After the first draft, I take over and do apply some of the tricks—making sure I’ve raised sympathy, making sure her actions fit her motivations, making sure she feels real. And of course, I get others to read the manuscript and I listen to their critiques. But revision is really about fine tuning–sharpening and polishing the character that came out when I gave her free-reign to start with. What’s easiest for you when it comes to writing? The first draft. I love drafting. I lose myself drafting. It is pure euphoria. Is there a part that is more difficult? Making revisions I don’t necessarily agree with. This becomes part of the process in publishing, and there comes a time when you have to trust your editor or agent and know that what they are suggesting is the right thing, even when you can’t see it yourself. But oh, it can hurt! Do you have advice for someone who is starting their journey into writing children’s literature? Take your time enjoying the process. So many writers start out saying “I want to publish a book.” That is the wrong goal to start with. Start with the goal of “I want to write a great story.” Because that’s where it has to start, and honing your craft into something that will get published needs to be the first focus. Think about what’s really motivating you—is it the desire to write really well, or to be famous? Try to focus your ambition on the first of those, because it’s something you can control and work on and develop. The second one, not so much. How does winning an award for your work, impact you as a writer? My final question is f you could spend the day with one author, who would that be and why? I have so many dear, dear author friends that I love to spend time with, I wouldn’t want to limit it to one. In fact, there’s a whole crowd of us who get together for writing days from time to time, and its best when they can all come! But as for famous writers, I think I would have liked to know Jane Austen. She was so amazingly astute and witty and sarcastic, and that strikes me as my kind of gal. Of course, I’d end up being totally intimidated and tongue tied around her, and terribly afraid she would see me as the sort of buffoons that litter her novels, so it’s probably best that I don’t have a time machine for that meeting. Jeannie thanks for taking time out of your busy schedule for this interview. I appreciate your honesty and directness. It was a significant piece of who you are that prompted me to asking you to come join us. The RMC, SCBWI attendees are sure in for a treat, and I am excited you chose to come. Jeannie Mobley writes both historical and contemporary middle grade fiction. Her debut novel, /Katerina’s Wish /(Aug 2012, Margaret K. McElderry Books (S&S)), won the 2013 Colorado Book Award in Juvenile Fiction. It is on the William Allen White Award Master List, and was selected by the Library of Congress to represent the state of Colorado at the 2013 National Book Festival. 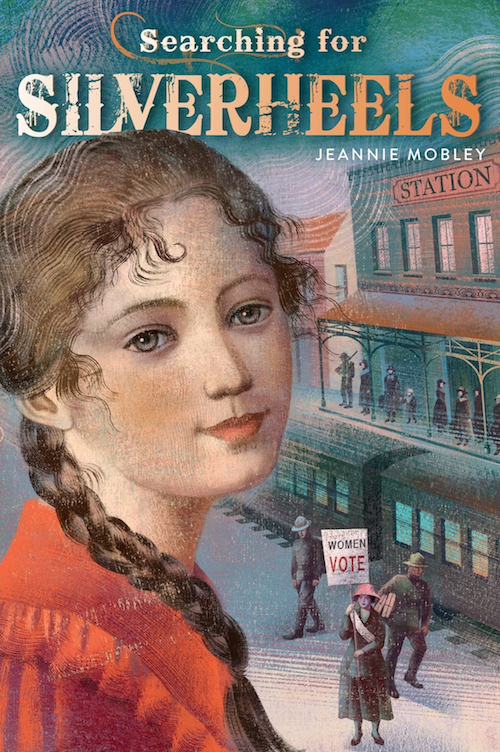 Her second novel, /Searchingfor Silverheels/released September 2, 2014, and has been nominated for the Amelia Bloomer Project for feminist literature. When not writing or reading fiction, Jeannie is a mother, wife, lover of critters, and an anthropology professor at Front Range Community College, where she teaches a variety of classes on cultures past and present.